Sanctions on Iran’s automotive sector and on its trade in gold and precious metals and sanctions related to the Iranian rial will come into effect from Tuesday. United States President Donald Trump on Monday said he remains open to forging a new nuclear deal with Iran even as he reimposed economic sanctions against Tehran. “As we continue applying maximum economic pressure on the Iranian regime, I remain open to reaching a more comprehensive deal that addresses the full range of the regime’s malign activities, including its ballistic missile program and its support for terrorism,” Trump said in a statement. On Tuesday, Trump called the sanctions the “most biting ever imposed”. He warned on Twitter that the sanctions would be taken up to “yet another level” in November. He said that anyone doing business with Iran would not be doing business with the United States. Trump in May announced that he was pulling the US out of a Barack Obama-era nuclear agreement with Iran, calling it “decaying and rotten”. The US then said it will re-impose sanctions against Iran, and has asked some other countries to take similar action. On Monday, he re-imposed sanctions on Iran’s automotive sector and on its trade in gold and precious metals, as well as sanctions related to the Iranian rial, according to the statement. The sanctions will come into effect starting Tuesday. Russia also expressed its disappointment at the sanctions being reimposed, AFP reported. The Russian foreign ministry said it would do “everything necessary” to save the 2015 Iran nuclear deal and protect its shared economic interests with the country. Trump said the Iran nuclear deal or the Joint Comprehensive Plan of Action was “a horrible, one-sided deal” which failed to “achieve the blocking all paths to an Iranian nuclear bomb”. 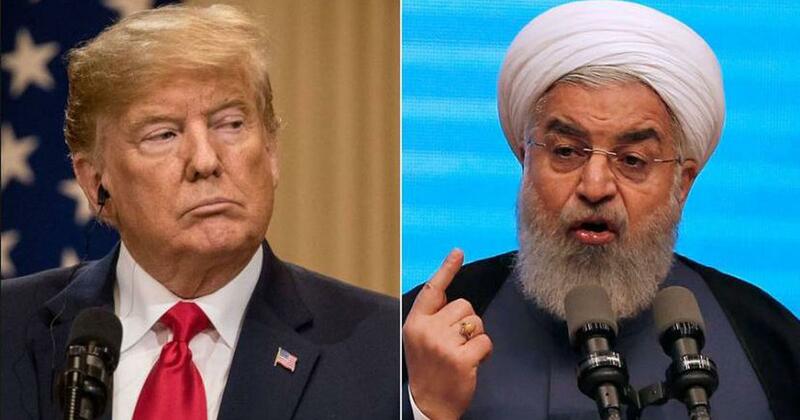 On June 30, Trump said he was willing to meet Iran’s President Hassan Rouhani without preconditions to discuss how to improve ties between the two countries. The White House, however, clarified that even though the president is open to dialogue, this did not mean the US would lift sanctions or re-establish diplomatic and commercial relations with Iran.